While I was digging into my valentine themed stash, I found the perfect embossing folder that matched up with some new embellishments I picked up at Michael's Store recently. I could not have asked for a better match! Awesome!! It took more time trying to find what I wanted to do than it took to do the card. Go figure, right? 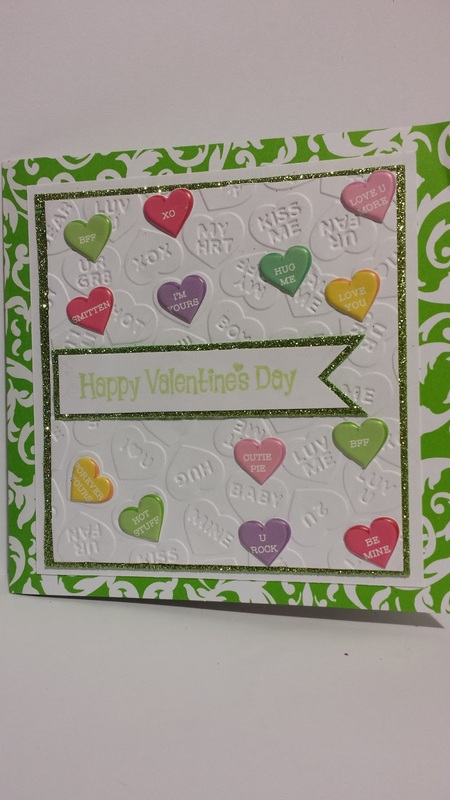 I also found that the green color of Sparkle Foam Sheets from a variety pack I purchased from the Dollar Tree Store, to use for a variation of green color to add to make the card designs pop. On top of the sparkle foam sheet, I then added the hearts designed layer done with the Cuddlebug Embossing Folder. 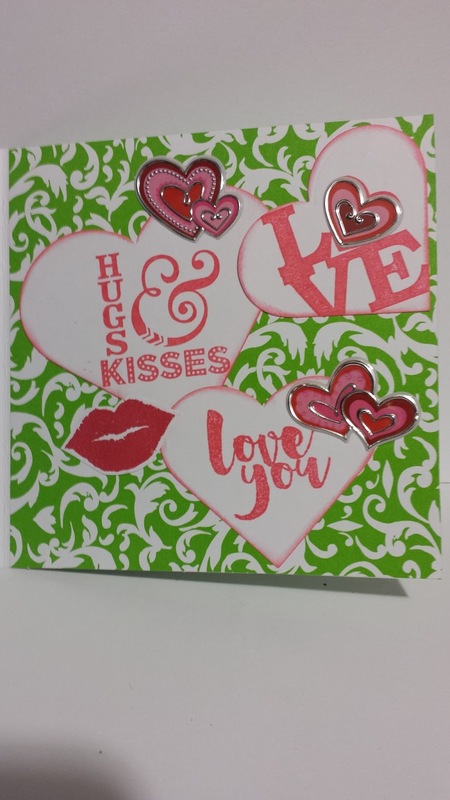 I love, love, love this heart design embossing folder!! I randomly added the little colored hearts with sentiments onto the embossed layer. These colored heart embellishments are from the Recollection's St Valentine collection set found at Michael's Store. 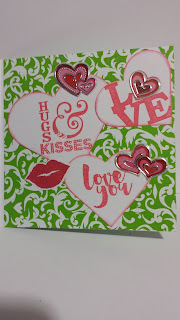 The Happy Valentine's Day Sentiment is also from the Recollection's St Valentine collections and was stamped with one of the green shades of Momenta Inks I have in my stash. And I also wanted to share what I did to the inside of the card. 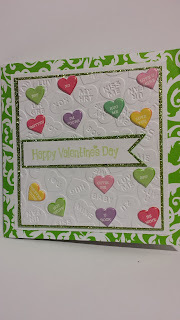 I realize it does not totally match up with the outside of the card, but I could not keep myself from making it randomly different design and use up some other supplies I also had bought at Michael's Store from that same St Valentine's Collection. It was like I couldn't stop with randomly using as many items as possible. Lol. I hope you like and enjoy it. Thanks so much for stopping in to view my latest creation.